The Speedo Futura Biofuse Flexiseal Oxid Grey & White Blue Lens Goggles are the latest addition to the Speedo Biofuse range of goggles. They feature a unique texture on the seal which allows more flexibility and comfort as the parts of the seal are thinner allowing a more agile and comfortable fit. This also encourages a reduction in pressure around the eye socket. 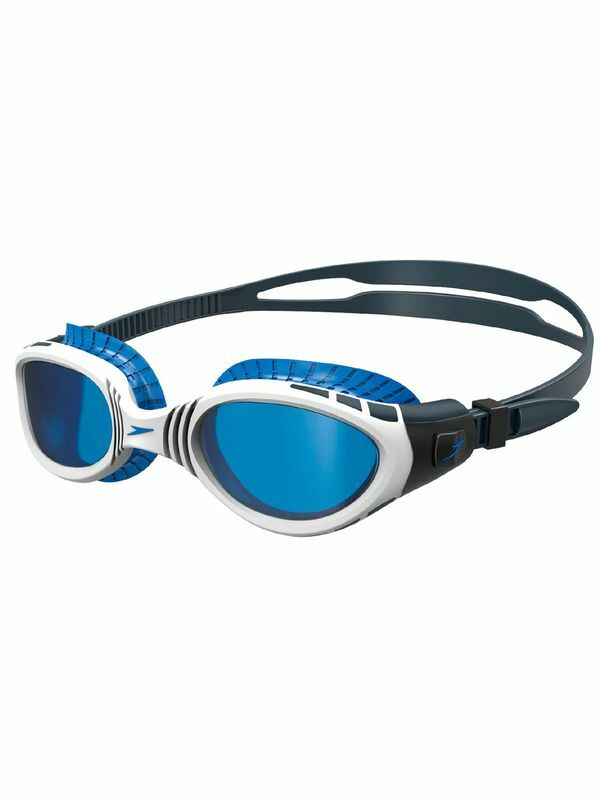 Futura Biofuse Flexiseal Oxid Grey & White Blue Lens Goggles manufactured by Speedo Swimwear the worlds leading swimwear brand. Speedo is passionate about life in and around the water, creating revolutionary new technologies, designs and innovations.